I will confess, I'm kinda tired of all the rah-rah bacon and oooooooo, pork belly talk in the media, on the Internet, and everywhere else. And by saying that, it's not like I'm trying to be all, "I liked bacon before bacon was cool." Not at all. I just have reading-and-talking-about-pork fatigue. I mean, I get it: I love pork and you love pork. What's not to love about pork? Pork is great. But can we talk about something else for once? PLEASE? This entry is supposed to be all about pork. Pork belly, actually, Alinea-style. Our next course was pork belly, served in a cucumber juice-infused lettuce cup with a variety of Thai spices and flavors, and a shot glass off to the side with a really clean and lovely (and not overpoweringly spicy-hot) distillation of Thai green chili and lemongrass. Now, I'm of the school of thought that it's really hard to screw up pork belly, but it also takes someone special to make it sing and make you go from, "oh cool, pork belly" to "HOLY MOTHER OF CHARLES NELSON REILLY THIS IS AMAZING!!!!" This course was a perfect balance of cool, heat, salt, kick, and crisp. Again, I could've eaten three or eleventy kabillion of these, too. * "Smoke;" All-Day Braised Hobbs Shore's Pork Belly, Heirloom Beets, and Burgundy Mustard. I knew what type of preparation was coming when I saw the crystal spheres being so gently and carefully carried into the room, but I had no idea I was in for the single best piece of pork belly I've eaten in my life. This dish, if you'll indulge me in a rather nerdy confession, almost made me cry, it was so good. The reveal that takes place when the top of the sphere is removed and the smoke rises up and into and onto your palate is such a wonderful tease, and to be able to feast on even that small morsel of pork belly that has spent a day braising to absolute perfection (along with beets and mustard that more than held their own) is nirvana. Over the years, I've had pork belly in many, many restaurants, and I can't recall any of them ever being bad or awful or just not right. Some have been outstanding, and many of them very, very good. But those two stand out in my mind far above the rest because they stopped me in my freakin' tracks and made me wanna slap somebody. HARD. A quiet storm of delightfully hysterical deliciousness, they were. So imagine the standard I set for myself when starting out to make this dish from the Alinea cookbook. It couldn't be just good or okay. I wanted it to be EXCELLENT. I wanted it be AWESOME. It had to bring me to my knees. In reviewing the recipe and instructions one more time before getting started, I realized that none of these components were difficult. They all involved ingredients I was very comfortable with, and techniques I (now) know well. Still, I put a lot of pressure on myself to be perfect and excellent and turn out a fantastic bite of food, because who wants to fail at pork belly? Then, I packed that sucker in among the cure and rolled it tight in a ziploc bag and stored it in the fridge for two days. But, as the bag o'bacon wiled away the hours (four of them, to be exact) in the 190F-degree water, I noticed that it would rise to the top every 40-45 minutes. And, I could see that air (but luckily no water, 'cause I kept that part above the water's surface) was seeping in. So, I just kept pumping out the air as often as I could, and hoped for the best. While the pork belly spent time underwater, I worked on the smoked paprika tuile -- or, the BBQ Sugar portion of our program. Not sure how it happened, to be honest, but I dropped the whole thing, the contents of which went all over my pants, my shoes, the floor, the lower cupboard door knobs, the trash can pedal. EVERYWHERE. I let many, many expletives fly (because I wanted so much for this to go well), and went back to the tray of white lumpy stuff, tore off another 75g, weighed more cayenne and paprika and tried again -- this time in a little mini-food processor/chopper thingie that sat on a counter and did not require my holding it. I put them into a 350F-degree oven for a minute. The book said to "turn the squares once" after 30 seconds, but I didn't know if that meant actually flipping them with an offset spatula (which seemed odd and not possible) or turning the tray around, which didn't really make sense to me either, so I did neither. I did, however, keep the oven door open a crack while I counted out those 60 seconds. Not sure why, but it felt like the right thing to do. I topped each one with one of the hardened paprika-cayenne tuille squares, then put them under the broiler, so the squares could melt down and around the pork belly and its adornments (which took all of 5 seconds) and then re-harden. There were eight spoons. There were eight people. We each took one, opened our mouths, inserted a spoon, slid it out, then chewed. It's the quietest my house has EVER been. And, it's the most I've wanted to slap someone hard across the face over something I made. It was THAT good. Smoky pork with a bit of heat (but not a ton); smooth, warm, delicious polenta; cool, crunchy vegetables; the sweet, smoky, salty envelopment; and, the marjoram... still now today, days after eating it, I'm having trouble summoning the right words -- any words, for that matter -- to describe how good this was. It's definitely the best thing I've made for the blog, hands-down. But even bigger than that, it really and truly is one of the best things I've ever made in my whole life. It's times like these I wish I could have every single one of you here in my house, standing around my dining room table, taking a bite, and savoring it, so that I could say, "See... SEE!??!!?!? THIS is why I love to cook from this book. This pork belly bite is sooooo WORTH MAKING!!! TRY IT!!!!" And, I wouldn't even slap you. Well maybe I would. And you'd probably like it. Resources: Domino sugar; David's kosher salt; paprika, cayenne, and chipotle chili powder from TPSS Co-op; Cedarbrook Farm pork belly; fondant from that stinky craft store, Michaels; glucose and isomalt from L'Epicerie; bell pepper, carrot, marjoram, and cucumber from Whole Foods; Terra Midi white wine vinegar; Bob's Red Mill polenta; 365 butter; Crave Brothers mascarpone. Music to Cook By: The Editors; The Back Room. Thanks to my Twitter compatriot EricDM1 who answered my call for new music a few weeks ago. He suggested their album "In This Light and On This Evening," which I also love, but there's something about The Back Room that is just captivating. So why are you getting out the kevlar vest over this? The post-cure/pre-sous vide pork belly picture is one of the most strikingly lovely things I've seen in awhile. It kind of glows. It's like the pork belly that angels eat or something. (and it makes me feel even worse about the rubbery piece I tried to maw on Saturday. Sigh). Here's a trick I use for sous-viding things with a lot of liquid in them: put everything into a heavy duty freezer bag and fill a large stockpot full of water. Seal the bag ~3/4 of the way and slowly lower it into the stockpot until the water level almost up to the sealing strip and seal it. The force of the water pressing into the bag forces almost all of the air out of the bag and leaves you with a bag that shouldn't swell or float. I've used this technique for things that cook sous vide for over 12 hours in stock and I've never had an issue with floating bags. I too have had trouble with the Ziploc bag/pump combo holding a vacuum. Sometimes the little valve on the bag lets water seep in, sometimes air. The best solution I've found: clean the valve and the area adjacent thoroughly after pulling a vacuum and cover with a piece of adhesive tape. A drop of super-glue on the valve works too, but renders it useless should you want to re-use the bag later. I don't remember the temp for the pork belly sous vide, but it may be high enough that it's in the "yep, it's hot enough that stuff in the bag is going to phase change and the bag will puff"-zone. Above a certain temp, no matter what crazy industrial vac sealing system you've got, there's going to be puffing in the bag. OMG, that sounds amazing! If I could be there when you made this and actually get to eat it, yeah, you would most definitely have permission to slap away! Nice save! It is kind of strange how foods become "trendy" isn't it? I've been a lurker on your blogs, both the French Laundry and Alinea, and have enjoyed them both. I've never commented before, but I had to comment after reading about his dish. This is unbelievable! So beautifully presented and I can just imagine how great it must taste. And to learn there are Ziplock Sous Vide bags - bonus points. 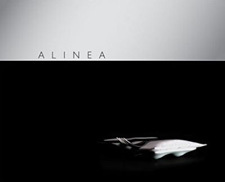 I've been too intimidated to try the Alinea recipes, but I think I'm going to have to give this one a try! Funny that you feel this way about pork belly - I do too, but thought there was something wrong with me. Pork belly tastes amazing, though. I've never cooked it myself, but intend to do it. Carol, you find the COOLEST things. I have NEVER seen the Ziploc Sous Vide kit, even in the fanciest of grocery stores. This makes perfect sense. Your pork belly looks great, and again you make these dishes seem so approachable. Thanks for the constant inspiration! I read every post, but seldom comment. However, here I am to tell you that I am now inclined to sputter HOLY MOTHER OF CHARLES NELSON REILLY when the opportunity presents itself. Thank you!! - d.
I love how the cucumber balls (heh) look like gummy candy. God this sounds delicious, I'm captivated by the idea of the candy tuilles being used to coat something. What a cool idea. I'm tucking that into the back of my brain, to be sure! A few notes about the FoodSaver and the gas in the bag. No matter what vacuum sealer you use--whether it's a $5 Ziploc gadget, a $200 FoodSaver, or a $5000 chamber vac--it won't evacuate all of the air in the bag. Second, there is a lot of liquid in the pork. At normal cooking temperatures (anything over around 150F), a noticeable portion of that liquid in the bag will change phase to gas and the bag will therefore puff up. That's why various books recommend using a grate or something to weigh the bags down and keep the bags submerged. I'm not sure whether that's what was happening in this case. Maybe the seal was just not working. But the bags will always puff up a bit with air. Second, I've done a lot of cooking sous vide, some of it in a professional context, and I very much disagree with what you keep saying about the FoodSaver. It DOES work. In fact, it works VERY WELL. It does not work as well as a chamber vacuum, but it costs like 1/20th as much, and works about 2/3 as well. It can't compress things, and it doesn't speed up marinating to the same degree as a more powerful vacuum, but it works extremely well for sealing things and then cooking them. As long as you get a FoodSaver with the "Pulse" function, it also works well for sealing bags with liquid. At home I use a FoodSaver GameSaver Turbo. It's their highest-end model, and it draws a vacuum very quickly. This business about a FoodSaver pulling moisture out of your proteins is not entirely inaccurate--it does. But the effect is so small as to be negligible. I've tested it by weighing proteins before vacuum sealing, then taking them out of the bag immediately, drying them off, and weighing them again. They never lose more than around a tenth of a percent of their weight, and even much of that can likely be attributed to the drying process. Also, all non-chamber vacuum sealers do that moisture-pulling thing (including your Ziploc device). So again, a chamber vacuum sealer is definitely better, but a FoodSaver works very well for sous vide, and it doesn't really make sense why you'd attempt all these things with no vacuum sealer rather than buying a good-but-not-perfect one. I'm working on this recipe and had a few questions. Did you leave the skin on the pork belly? It appears that you did by mine is very thick and I have a teet (sp) present? On another blog that someone made this they stated light corn syrup was the same as glucose is that what you used? FYI: I found isomalt at a cake store (Cakes Plus - Laurel, MD). Good luck, and let me know how it turns out!